After the happening of one of the most unexpected event, Donald Trump becoming the president; Donald trump memes started flooding all over the Internet. The twitter account, ” Trump Draws” went viral because of its funny memes of Donald trump showing the executive order. But now, if you have a creative mind & your editing skills are stopping you from being the funny guy in your College’s group chat. Look no further than this app “Donald Draws Executive Doodle“. This app is gonna be uge. It’s gonna be big. It’ll be the biggest app. It’ll be the best app. It is the best app. This app is gonna make the United States of Amemeica great again. It’s gonna be everything. Trump approved. Overall the app is fun to play with & show your creativity be the star in your friend circle. Yeah, I know you love making fun of people. 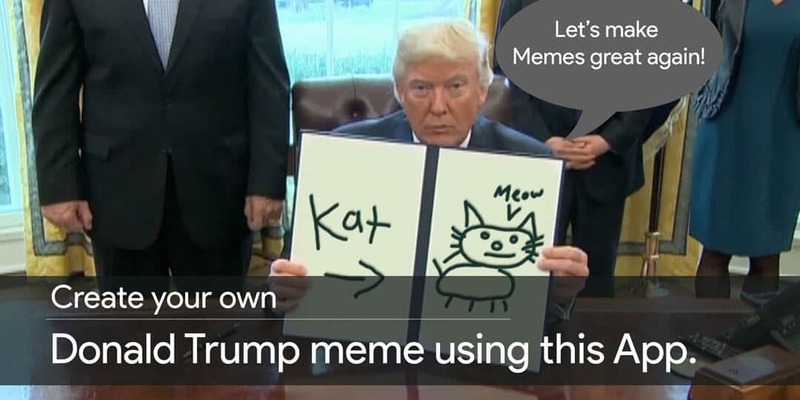 So get started and MAKE MEMES GREAT AGAIN.